Home Business ethics Business is moral! Sadly, many businesspeople accept these accusations and try to atone for the alleged sin of profit making by appeasing the critics. Companies engage in Corporate Social Responsibility (CSR) initiatives and pursue the Triple Bottom Line of environmental, social, and financial performance, compromising profits. (Ironically, such compromise reduces prosperity for all and therefore the ability develop innovative solutions for industrial pollution and more efficient use of resources). Business creates wealth: it’s not a zero-sum game. Instead of competing for a limited pool of existing values (as other species do), business firms (or rather, people running them) create material values: they produce and trade goods and services that help us survive and enjoy life. Without profit-seeking firms, we would be reduced to self-subsistence and at best, to bartering with our neighbors: building our own shelters, growing or hunting our own food, sewing our own clothes. Without profit-seeking firms, there would be no accumulation of capital needed for innovation and product development, no stock markets, banks, mass production, jobs, and none of the products and services that we take for granted and that make our lives longer, healthier, more comfortable, and enjoyable. By the standard of human life, the benefits of wealth creation are enormous—and the demands of business to “give back” absurd. Giving back for what? Business firms have not taken anything and do not owe anything to society. By selfishly pursuing profits, they create products, services, and wealth that make human life better. Demanding business to give up profits is detrimental to human survival and flourishing. Business is about trade: it’s a win-win. Business is accused of exploitation: charging customers too much, and paying their employees and suppliers too little. But the idea of business operating on the principle of predation is a myth. Successful business is based on the principle of trade. Business firms do not exploit others but trade value for value: products for your money, salary for your labor, payment for your raw materials. Firms operate by mutual consent and for mutual benefit with their trading partners: if the company or a customer, a supplier, or an employee does not gain a value from the trade, they can—and will—go elsewhere. It is true that at any given time some companies are creating better products or services than their competitors, or can afford to charge lower prices. But this does not mean that their competitors are losers in the long term. Because business creates wealth, the size of the pie—of the market—is not fixed, and one company getting a larger slice of the pie does not mean that others cannot get their desired share over time. And if competitors cannot grow a particular pie more, they can always create a new pie—a new product or service—and become winners in the new market. Successful business is based on the principle of trade. Business pursues self-interest: the myth of the common good. Firms can survive and succeed only by pursuing self-interest: profit maximization. Their critics exhort them to compromise their self-interest and contribute to the “common good,” through charitable donations and various CSR initiatives. But the question the critics and the capitulating companies fail to ask is this: What is common good? It is implied to be the good of society—which consists of individuals. Therefore, common good is the sum of the good of each individual member of society. To maximize the common good, individuals (or voluntary associations of individuals such as business firms) should maximize their own good—pursue self-interest, without violating the rights of others. The moral justification of self-interest is that human survival and flourishing—including that of business firms—requires it. 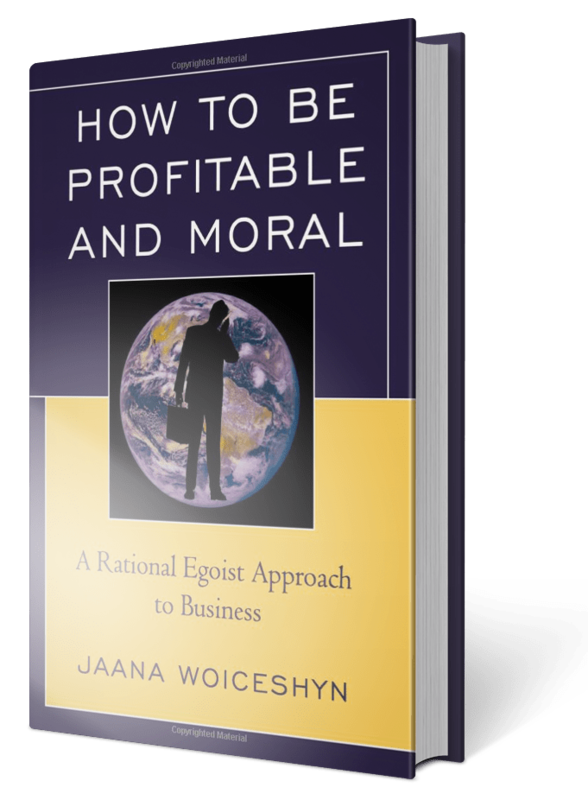 Business is a force for good, and businesspeople are moral creators. They must recognize this and defend themselves—and we should applaud them. Only that would silence the critics and allow firms to focus on their purpose: wealth creation through profitable production and trade of material values.